Reuben’s Brews of Seattle recently announced that they’ve branched out and are now producing cider. The result of this new project is Warren’s Cider. Not long ago, this would have been a lot more complicated, but a change to one of Washington’s liquor law that forbade a brewery from making cider, and vice versa, have simplified things. The short version, Reuben’s Brews was named after Adam and Grace Robbing’s first son, Reuben, but now Reuben has a little brother, Warren. It wouldn’t be fair if Warren didn’t have something named after him too. 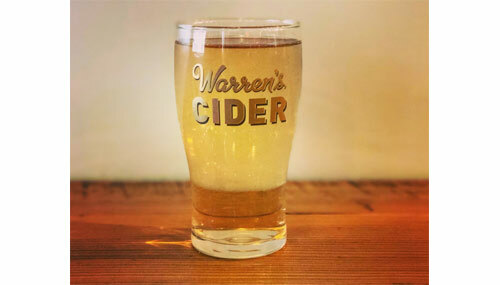 If you want to know more about how Warren’s Cider actually came to be, click here. Well, if nothing else it’s a great name! Refreshing to see a new cidery focus on (for now) unflavored cider. I hope they can branch out to more heirloom cider varietals in the future.